Today, we review a great Magento 2 tool designed to reduce headaches related to the migration from one Magento 2 website to another. The extension is called Magento 2 SITE 2 SITE Sync / Migration Transfer Wizard Bundle and its developer is Commerce Extensions. Below, we explore its core features and functionality. If you have one ecommerce website filled with product images and data as well as category information and another one that is empty, you can waste hours of time copying data from the first storefront manually. Instead, we recommend you to automatize this process by using Commerce Extensions Magento 2 SITE 2 SITE Sync / Migration Transfer Wizard Bundle. 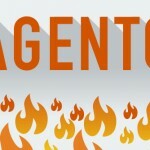 The extension is designed to move three core data types between Magento websites. First of all, it is product images. If you have thousands of products, moving their images from one website to another becomes a severe torture. Leaving a website without product pictures or filling it partly isn’t a good solution as well, since your ecommerce store will get a totally unprofessional outfit. 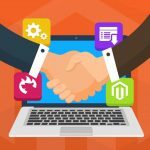 But you can easily solve the problem in a few clicks with Magento 2 SITE 2 SITE Sync / Migration Transfer Wizard Bundle by Commerce Extensions. The second data type the extension is responsible for is product information. Of course, you can copy everything manually or hire someone to do this work, but in both cases the procedure will last endlessly especially if you have lots of products. Leaving product pages empty is also a bad idea, because no one will shop within such store. But the Commerce Extensions company is here to help you. Simply install Magento 2 SITE 2 SITE Sync / Migration Transfer Wizard Bundle, and you will rapidly transfer product data from one store to another. 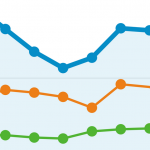 As for the third data type, it is category information. Although moving category data from one site to another manually is not so exhausting as moving product information (at least because you usually have less categories than products), we recommend you to keep up with the times and leverage modern technologies. Thus, Magento 2 SITE 2 SITE Sync / Migration Transfer Wizard Bundle by Commerce Extensions will help you perform the procedure rapidly and without headaches, while doing everything manually you can make mistakes. Now, when you know core data types the extension can cope with, we should tell a few words about other features of the module. Magento 2 SITE 2 SITE Sync / Migration Transfer Wizard Bundle by Commerce Extensions has one vital ability: it allows you to map store_ids / website codes as well as other internal values between two installations even when the values are different. For instance, there is an old website with store_ids (0,1,2) and new one which has a slightly different parameter: store_ids (0,3,14). It seems that the automated synchronization does not make any sense until you use mapping. The Commerce Extensions bundle allows you to map the storeID 1 to new storeID 3 via the backend interface. Consequently, you will easily transfer data from one store to another. Another feature that essentially improves data transfer is crone import/export. 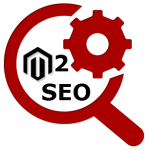 It means that you can fully automate the process of data migration. No changes to the exported information need to be made, so the extension will properly import it into any new install without your participation. As you can see, in addition to product data/images and category information, the extension also lets you transfer product attributes, order data, customers and all their info, reviews, cart rules and coupon codes, and even search terms. What’s left? It seems that Commerce Extensions covered all aspects of the store-to-store migration. So let’s see how things are done under the hood. Since the Magento 2 version of the module is still under development, we will describe how the appropriate 1x module works. First of all, you should go to System -> Import/Export -> CommerceExtensions Site 2 Site Transfer -> Export (or Import depending on what your needs are). Next, add a new profile – hit the appropriate button. Configure the profile. Depending on the profile type, further settings differ. Run the profile: go to the Run Profile tab and choose Run Profile in Popup. As you can see, only five steps are required to start data export. 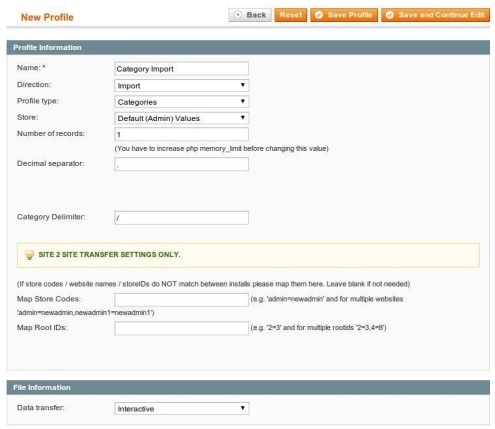 The same is about data import, but let’s take a look at the profile configuration in more details. To configure your newly created export profile, enter its name (it can be any name), set the Direction option to Export, and choose a profile type. Available profile types are: Products, Orders, Attributes, Categories, Customers, Reviews, Shopping Cart Price Rules. Each type represents one of the aforementioned import/export extensions. Let’s see how to configure category export. You should select Categories in Profile Type. Next, choose store view, specify Root IDs (root category IDs you are exporting from) and Category Delimiter, and enable/disable “Export Categories For Transfer” (Preps export file with additional data for importing later), “Export Products For Categories” (shows which products go to which category during import), and “Export Product Position” (position of products within categories) features. Configure File Information and Data Format. All options seems to be user-friendly and intuitive. 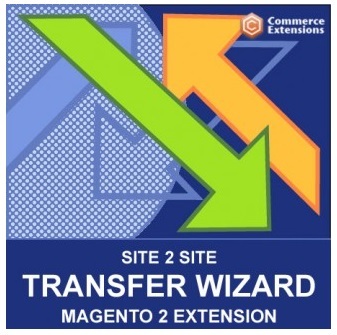 If you don’t understand something, there is a detailed documentation that covers every square millimeter of Magento 2 Site 2 Site Transfer Wizard Bundle by Commerce Extensions. Both Magento 2 and 1 extensions cost $599.99, but you can purchase only the older solution and with a $100 discount (January 2017). The Magento 2 version of the module is still under development. The total cost of all modules included into the bundle if $730. Considering the aforementioned discount, you can save up to 230 bucks buy purchasing the combined tool. Import and export data via online sheets, such as Google Sheets.